Her hemangioma has shrunk 1/2 cm in just 6 months! Dr. Blache measured it at 18 months and it was 3 1/2 cm. She measured it at her 2 year and it was 3 cm! That's great! I told her that LL was starting to notice it more and pull on it. She said to discourage her from that because it would bleed more than other areas if it were to get cut. She also said that if it starts to really bother her, to let her know and she would refer us to a dermatologist (presumably to have it removed). I don't see this happening. They check her hemoglobin levels and they were on the low end of normal. Reason? She gets too much milk! It sounds backwards, but too much milk lowers your iron. This means we need to start cutting her back. LL is now on 2% milk instead of whole. 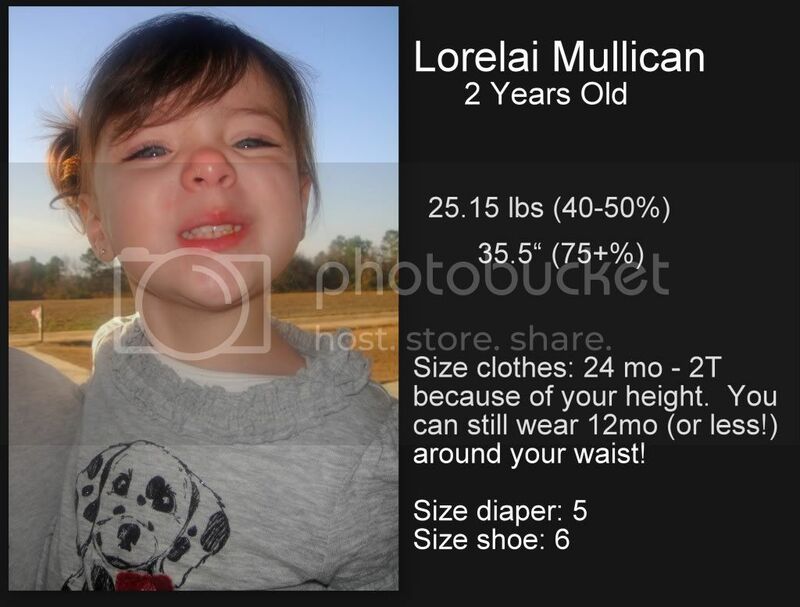 Dr. Blache said that LL is very smart and that she reads on a 4 year old level and speaks amazing for her age. She has until age 3 to potty train (yeah right! We're getting it done before then if I have anything to say about it!). She also said that "smart kids" have a harder time potty training. Great. We need to start flossing her teeth. I've already tried it - it's a nightmare! But we're doing it anyway! She told me I could use some sites on the Internet to guess at LL's adult height. It should be somewhere between 5'5" and 5'8". Not too bad! Overall it was a very good visit! No more appointments until her next birthday - how crazy is that? !